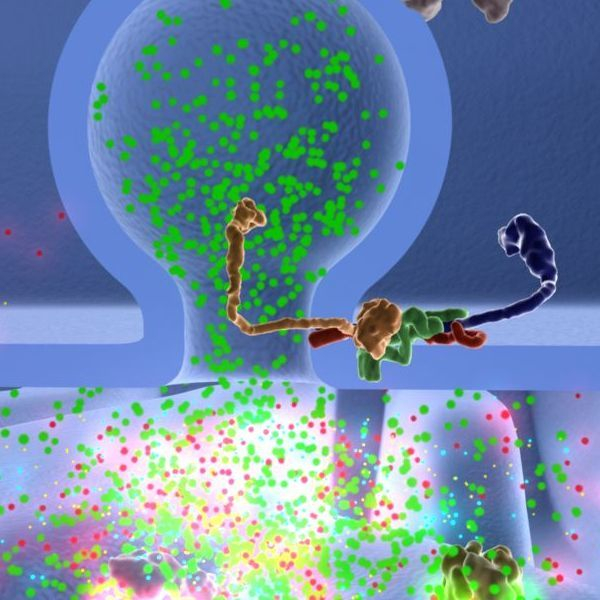 Neurotransmitters are stored in small ball like structures, the neuronal vesicles. Upon action potential arrival at the nerve terminal, they fuse with the outer cell membrane and free their content. This picture is taken from a movie for medical students to illustrate the molecular processes during exocytosis.